All Fritz & Felix products are characterized by a combination of crunchiness and tenderness. But the undisputed champions within this category are the Family Happys with olive oil. 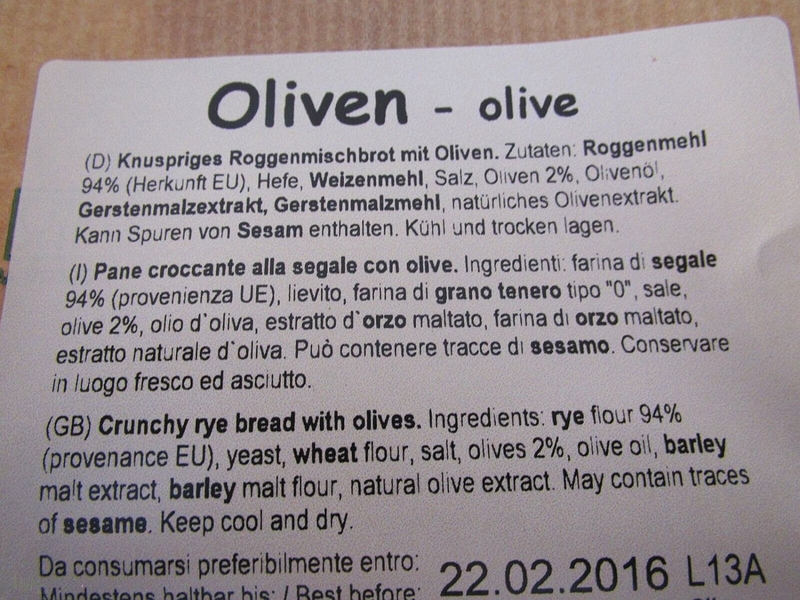 The special olive oil that is used as an ingredient for this product makes the dough a touch tenderer and gives it its distinctive Mediterranean flavour. You'd better be forewarned though: once you have tried these nibbles with wine or beer, you are hooked forever - 100% Mediterranean crunching fun - Made in Italy. Ingredients: Rye flour 83%, wheat flour, olive oil 4%, yeast, salt, malt extract, malt flour. Crispy Bread with bits of Bacon 100 gr. - Fritz & Felix 1,80 EUR / 1,80 €/100 gr. Dumpling bread Trenker 200 gr. - South Tirol 2,60 EUR / 1,30 €/100 gr.